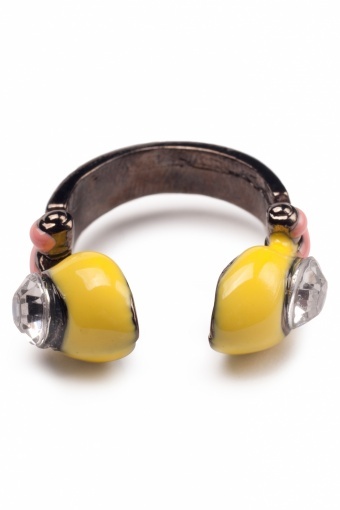 Funky Yellow Headphones ring. Back to the 80's! 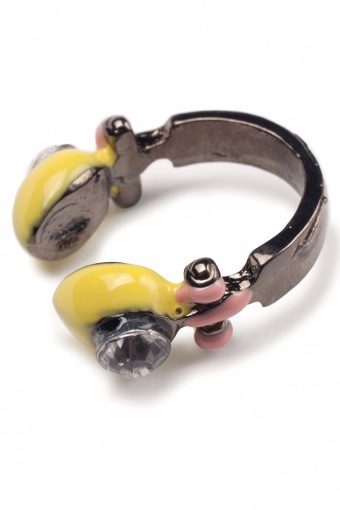 Supercool open-ended headphones ring. 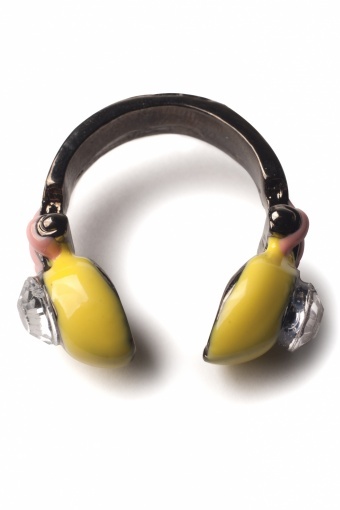 The metal has a darkgrey varnish which is a great contrast to the fresh colours of the headphones. With rhinestone details on each side. A real fashion item this summer, don't miss it!